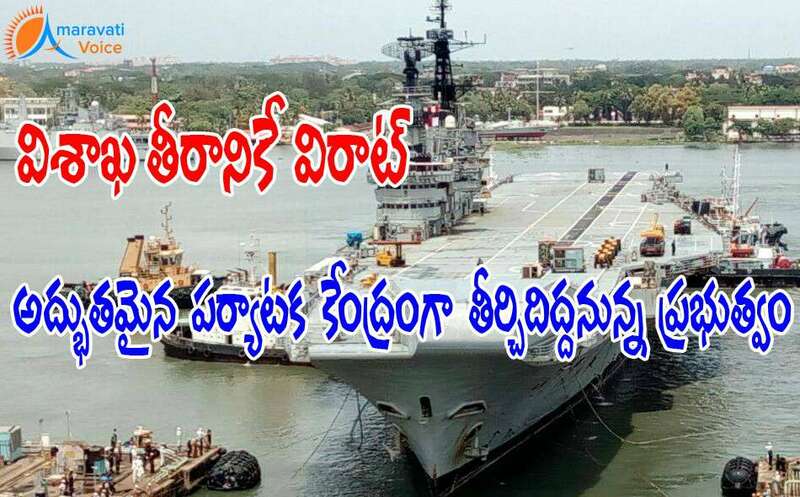 The Indian Navy has agreed to hand over INS Viraat to the AP government after decommissioning it and the aircraft carrier will be berthed on the Vizag coast. Chief of Eastern Naval Command, Vice-Admiral H.C.S. Bisht, on Saturday said that the state government had showed a keen interest in getting INS Viraat, the oldest aircraft carrier operated by the Indian Navy, to Vizag for promotion of tourism after its decommissioning. Viraat was likely to be decommissioned by the end of 2016 after 55 years of service, including 27 with the Royal Navy of Britain. The ship was likely to come to Vizag by mid-2017. AP government would undertake some works on the ship to make it suitable for a museum and a hotel with 1500 rooms, to attract tourists.